Download "Unit 2 581 Square Feet. 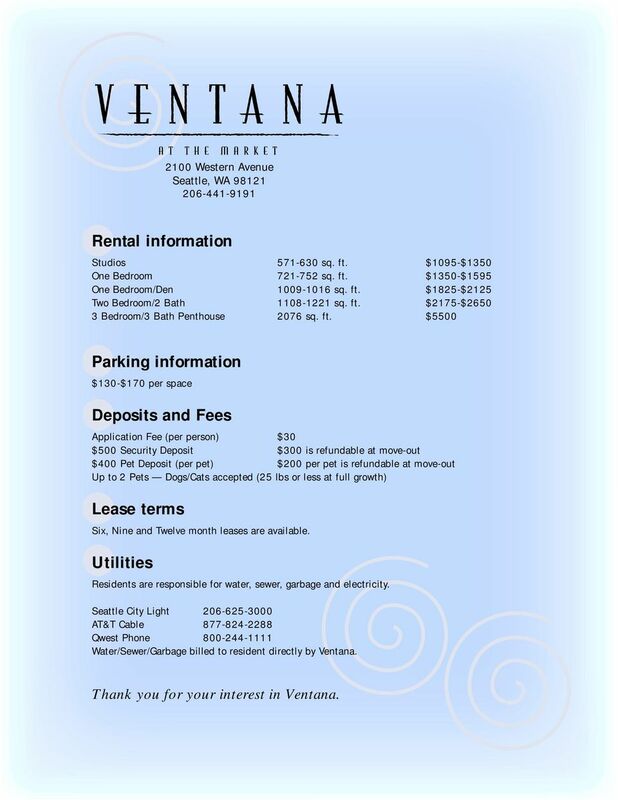 Unit 4 623-630 Square Feet"
6 2100 Western Avenue Seattle, WA Rental information Studios sq. 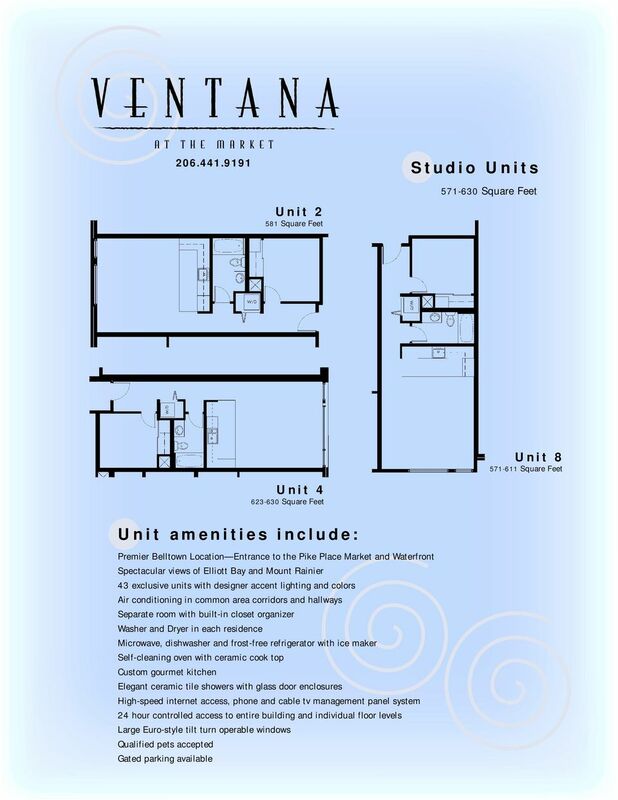 ft. $1095-$1350 One Bedroom sq. 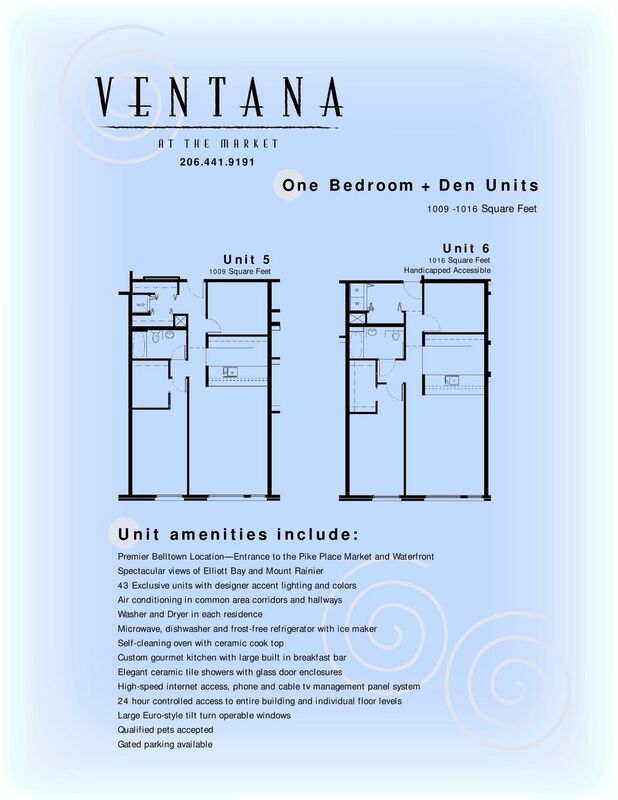 ft. $1350-$1595 One Bedroom/Den sq. 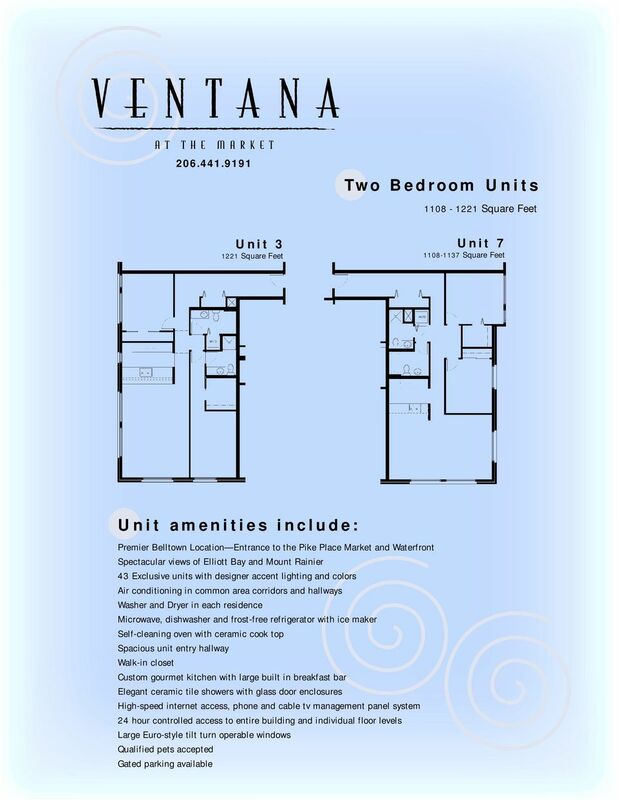 ft. $1825-$2125 Two Bedroom/2 Bath sq. 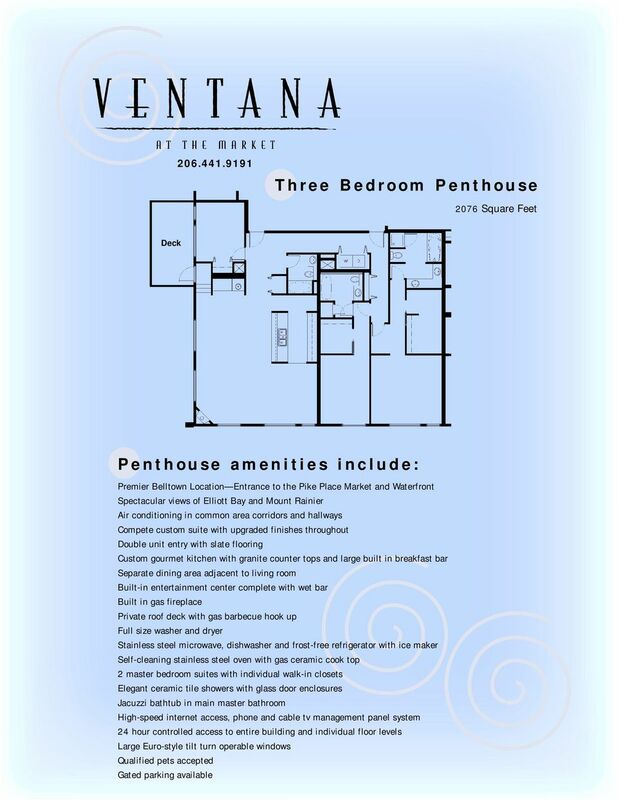 ft. $2175-$ Bedroom/3 Bath Penthouse 2076 sq. ft. $5500 Parking information $130-$170 per space Deposits and Fees Application Fee (per person) $30 $500 Security Deposit $300 is refundable at move-out $400 Pet Deposit (per pet) $200 per pet is refundable at move-out Up to 2 Pets Dogs/Cats accepted (25 lbs or less at full growth) Lease terms Six, Nine and Twelve month leases are available. Utilities Residents are responsible for water, sewer, garbage and electricity. Seattle City Light AT&T Cable Qwest Phone Water/Sewer/Garbage billed to resident directly by Ventana. 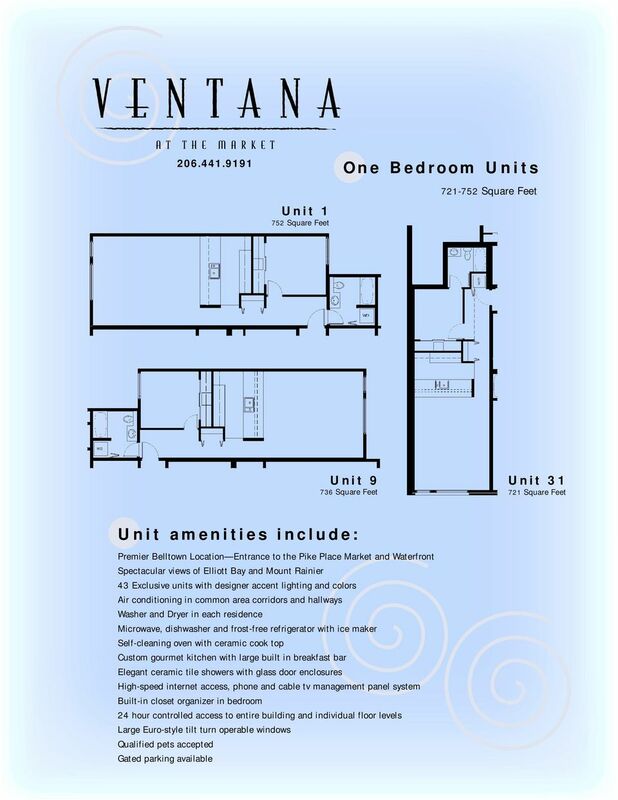 Thank you for your interest in Ventana. Single Family Client Full 1616 41st Ave E #203, Seattle 98112 MLS#: 818081 Status: Sold LP: $359,950 SP: $339,000 Mid-Century Modern Building in the heart of Madison Park near all the neighborhood amenities.